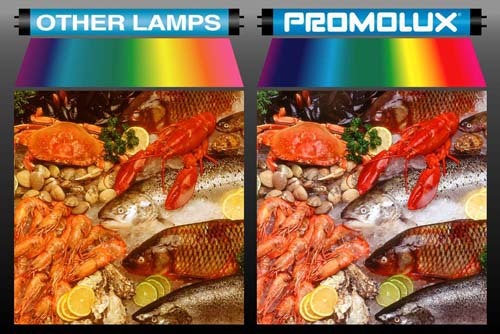 Foods look their best under PROMOLUX lights. 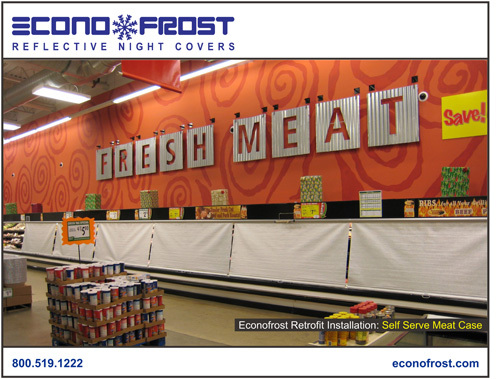 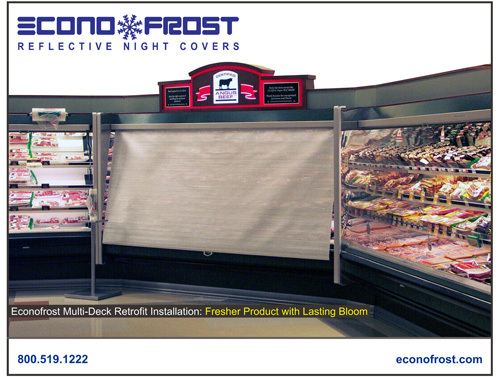 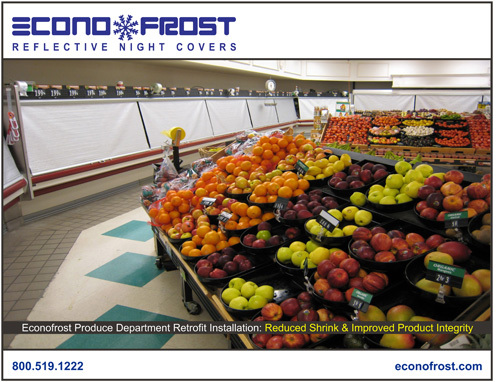 Save money, reduce waste and conserve energy with ECONOFROST - the premium quality night cover. 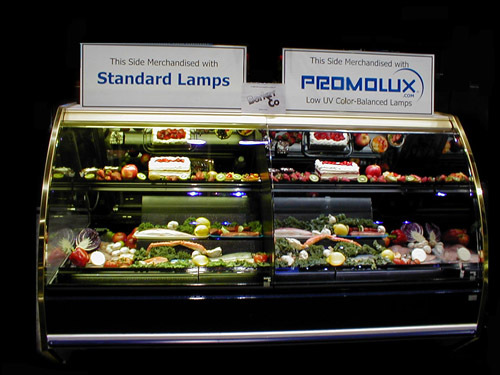 The left side merchandised with standard lamps, washes out the foods natural colors producing dull yellowish illumination. 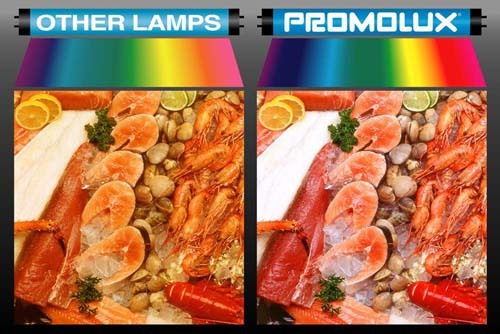 The items on the PROMOLUX side are extremely vibrant and their true natural colors are being showcased providing a superior presentation.